Hur ställer du dina lagade klubbor? 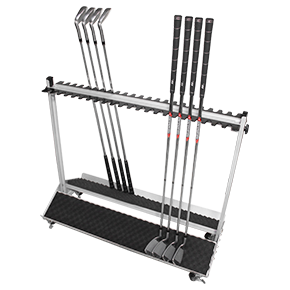 Med Industrial Twin Racks on Wheels 44 clubs, blir allt mycket lättare! The cart ships flat with all the accessories needed for self assembly.